Since 1992, NightHawk Sweeping has been your trusted owner-operated sweeping and cleaning service in northern Nevada. We are proud to bring decades of experience and a high caliber of customer service to the property maintenance industry. A potential resident, customer or client takes a lot in when they visit your commercial, industrial or retail space. They pay attention to your building’s facade and interior, of course, but before they even see those parts of your property, they’ll see your outdoor surroundings, including the parking lot, sidewalk and walkways. 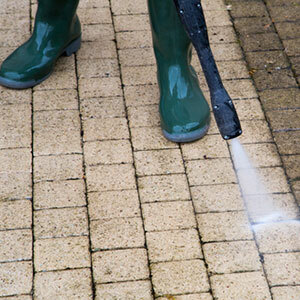 If you want to make a strong impression before your visitors even reach your property, then sweeping and power washing in Carson City and the surrounding areas is the way to go. And for parking lot sweeping in Carson City and the surrounding areas that’s affordable, high quality and enduring, local businesses know they can count on NightHawk Services to get the job done right. We are a proud owner-operated local business in Carson City, NV and the surrounding areas. We have more than 20 years of experience in the parking lot sweeping industry. Our street sweeping technicians are knowledgeable and friendly.